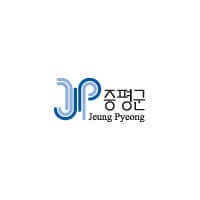 Jeungpyeong is a county situated in the heart of Chungcheongbuk-do Province, bordering Goesan-gun on its east frontier, Cheongju on its west, and Jincheon-gun and Eumseong-gun on its north. Situated in the northern area is the 598m-tall Dutasan Mountain with its ridges extending toward the western and eastern directions, and there are several other mountains that are less than 300m tall surrounding the county. It is located at 127˚ east longitude and 36˚ north latitude. The average annual temperature is around 11.6℃, with the monthly average temperature reaching as high as 25.5℃ in August and as low as –3.8℃ in January. The temperature difference between the hottest month and the coldest month is 29.3℃, which is characteristic of continental climate. The average annual precipitation is 1,216.1mm, while the seasonal precipitation is 193.2mm (15.9%) in spring, 735.8mm (60.4%) in summer, 232.5mm (19.1%) in fall, and 56.0mm (4.6%) in winter, on average. The average annual wind speed is 1.3m/s, with southwesterly winds typically occurring in summer and northwesterly winds in winter.